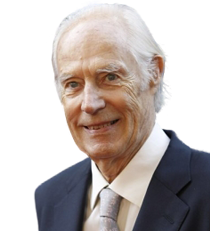 Knighted by Queen Elizabeth in 1996, and winner of both the Grammy Lifetime Achievement and Novello Awards, producer, arranger, composer, and author Sir George Martin has had an immeasurable impact and influence on music and popular culture. In a global millennium poll taken in 1999 of music critics by USA Today, Sir George Martin was named the most successful and influential producer of the 20th Century. Inducted into the Rock & Roll Hall of Fame, Sir George Martin is also listed in the Guinness Book of World Records as the most successful producer ever, with more than fifty #1 hit records over five decades in America and Great Britain alone. The recordings he has produced have collectively sold more than one billion units, worldwide. His award winning work across every conceivable recording genre and style is unmatched. It includes: classical, comedy, jazz, pop, country, R&B, rock & roll, film scores, television scores and more; producing the longest run of #1 hits songs in history – more than 36 years. As a producer, arranger and composer, his work has influenced, helped propel and set standards for more popular music and comedy artists than anyone else before or since. Of the hundreds of major artists with whom he has worked, a sampling includes: Paul McCartney, Elton John, Stevie Wonder, Eric Clapton, Celine Dion, Brian Wilson, Billy Joel, Stan Getz, Ella Fitzgerald, Cleo Laine, John McLaughlin, Sting, Michael Jackson, the Bee Gees, Neil Sedaka, Shirley Bassey, Joni Mitchell, Phil Collins, Kenny Rogers, Dire Straits, America, Earth Wind & Fire, Aerosmith, The Who, Cheap Trick, Carly Simon, Jeff Beck, Jimmy Buffett, Bon Jovi, Cher, Mark Knopfler, Paul Winter, Jimmy Webb, Dudley Moore, Robin Williams, Jim Carrey, Peter Sellers, Goldie Hawn…the list goes on. A classically trained arranger and composer, Sir George Martin has conducted many of the great orchestras throughout the world. Among numerous film, television and stage projects, he has composed, arranged and/or produced the scores for the Tony Award winning Broadway musical Tommy, the Beatles animated feature, Yellow Submarine, and two Academy Award nominated films: the Beatles’ A Hard Days Night and the James Bond film Live and Let Die. In 1997, after having overseen and provided the artistic direction to the much acclaimed Beatles Anthology series and his own final album, In My Life, Sir George Martin produced his final recording. After nearly four decades, the last song he produced became the biggest selling recording of all time with global sales exceeding 40 million units. The song was Elton John’s Candle in the Wind Princess Diana Tribute. In addition to numerous highly acclaimed television documentary projects including The Making of Sergeant Pepper and The Rhythm of Life, Sir George Martin has been appearing throughout the United States and Europe in a multi-media presentation of The Making of Sergeant Pepper to sell-out crowds in which he takes audiences on a magical mystery tour, looking behind the scenes at the technical and creative process which resulted in the record he produced and arranged for the Beatles. It is considered by many critics to be the most important, influential and technically innovative recording in popular music history. Released in 1967, “Sergeant Pepper” remains the biggest selling record in Britain. In November 2000, “1”, a collection of 27 #1 Beatles songs produced by Sir George Martin was released. In less than four months it became the biggest selling recording ever with more than 30 million units sold worldwide. The recording also set a world record by reaching #1 on the music charts in 27 countries, simultaneously. In 2001, EMI released a six CD box-set titled Produced by George Martin; a collection of songs charting popular music over the last fifty years. His numerous books include: With A Little Help From My Friends, All You Need is Ears and Making Music. Do you want to hire Sir George Martin? Directly request a quote. In 48 hours we can send you the availability of Sir George Martin If you would like to book Sir George Martin, Entertainment Booking Agency is the right place. We will offer you the best price and contact the management or we directly contact Sir George Martin. For corporate appearances or speaking engagements you can contact our agents and the will help you true the process. Tags: hire Sir George Martin, Sir George Martin booking, book Sir George Martin, Sir George Martin appearances, find more information on booking Sir George Martin for appearances, Sir George Martin speaking engagements, Sir George Martin endorsements/spokesperson, Sir George Martin appearance fees, Sir George Martin booking agency contact info, biography of Sir George Martin, Contact an artist booking talent agent find a speakers bureau that can book Sir George Martin, speaker booking agency for Sir George Martin, Sir George Martin booking agency, Sir George Martin booking for corporate event. EBA is one of the biggest entertainment booking agencies in the World. We book hundreds of celebrities, artist, athletes and speakers in a year. Important to know is that we are not claiming to be the management of Sir George Martin. We are not the official agent for Sir George Martin. Companies from around the globe book these artists and speakers true our company be course we have one of the biggest networks and we always have direct contact with the artist or the management. We help you to find the right celebrities for your corporate of private events. Please contact one of our agents to get free advice and we will help to get the world-famous artist on your party.